Former Rep. John Dingell, the longest-serving U.S. Congress member on record and a politician, died on Thursday, February 7. He was 92. His voice loomed large even after leaving Capitol Hill. His wife, Debbie Dingell, confirmed his death by sharing a lengthy statement. She said that her husband passed away peacefully at his home in Dearborn, Michigan. 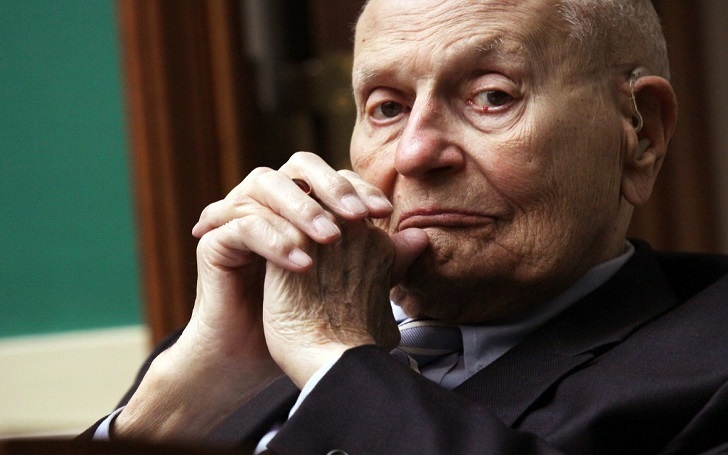 The statement begins, "It is with a heavy heart that we announce the passing of John David Dingell, Jr., former Michigan Congressman and longest-serving member of the United States Congress." Congressman Dingell died peacefully today at his home in Dearborn, surrounded by his wife Deborah. He was a lion of the United States Congress and a loving son, father, husband, grandfather, and friend. He will be remembered for his decades of public service to the people of Southeast Michigan, his razor sharp wit, and a lifetime of dedication to improving the lives of all who walk this earth. John served in the Representatives House for 59 years and 22 days (1955-2015). He reportedly served with 11 presidents and cast 28,551 votes. Most recently, he became known for his witty Twitter page for criticizing President Donald Trump's administration. Funeral and memorial services for the late Michigan Democrat will be announced in the coming days. Rest in Peace John Dingell!